$3800 / pair. 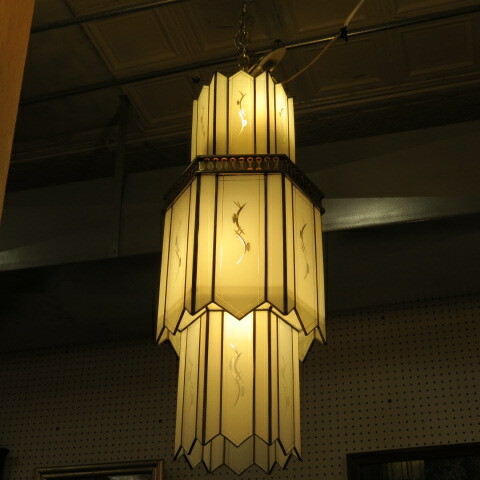 vintage antique art deco outstanding pair of chandeliers c. 1920. excellent example of art deco! three tiers, zig-zag edging, etching in the panels, brass trim. would be stunning in an entryway, living room, or dining room. excellent condition. each chandelier measures 12” across, 32” Tall.